Description Nyan Cat FLY! Guide Nyan Cat through the galaxy in his never-ending quest for YUMMIES! Eat yummies, avoid veggies! Get a high score! 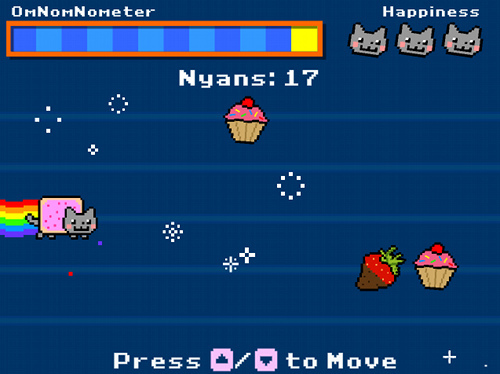 Customize your Nyan Cat! Nyan nyan nyan!